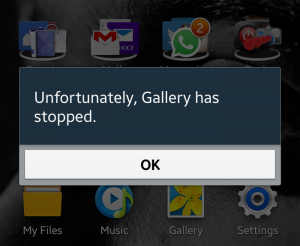 Is your Galaxy S8 device getting, "Unfortunately, Gallery has stopped’ " error? Don’t worry; Solutions is here to fix the issue and make your phone go smoothly. 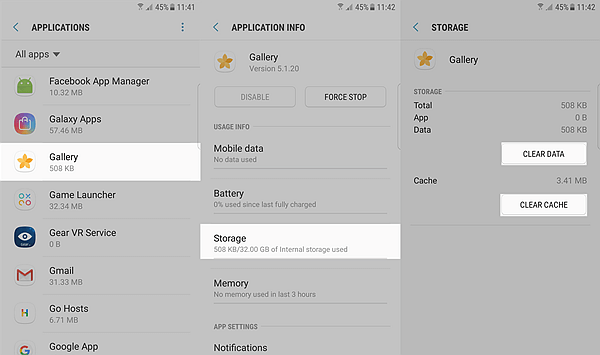 If you are tired to facing the ‘Unfortunately Gallery Has Stopped” error message on your Samsung galaxy s8, here, is an easy solution to this problem. It is a common thing to occurrence apps crashing and with the issues you are facing have everything to do with the application. When this error shows up, either you’re still trying to open the Gallery app or are already using it and trying to view a picture. But problems that are described by errors are pretty simple; they always indicate an app crashed. 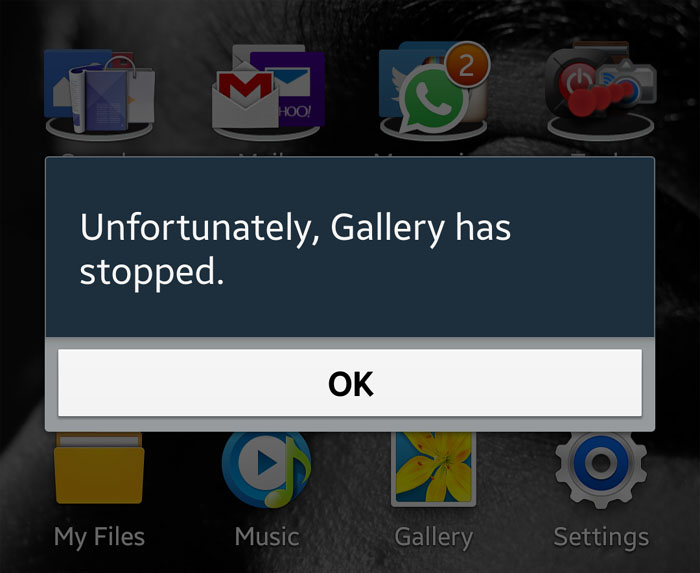 Here are the best ways to fix the error which says ‘unfortunately, Gallery has stopped’ on your Samsung Galaxy S8 Plus. First Navigate to Home screen. Tap Gallery in the default list or tap 3 dots icon > Show system apps to display pre-installed apps. If, however, the error still occurs even after doing this, then you have to move on to the next solutions. The card can be the cause of this issue. In case the hardware or any of the stuffing of the SD card is corrupted and you are trying to open, copy or delete the pictures that are located in the external SD card, it will provide such issue then. So, what you are necessary to do is just take out the SD card and check if the issue continue or it disappear. In case you do not face the same issue, then the doubt is right. So, you need to save the photos in some other device after which you need to reinsert the external card and format it. 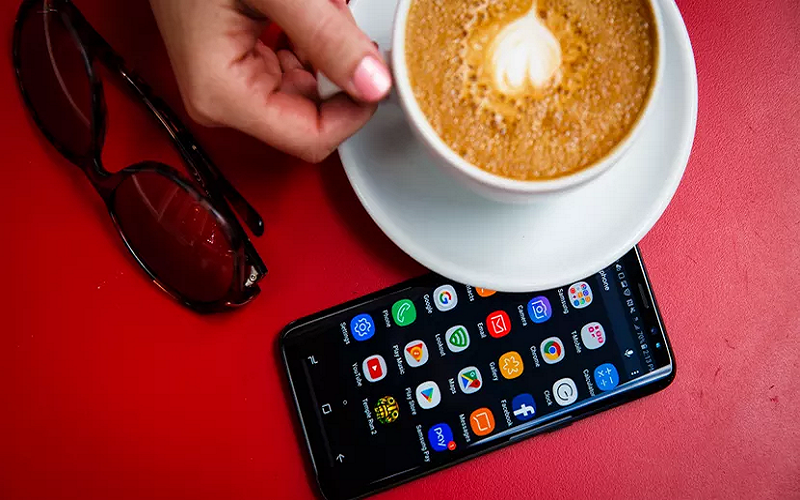 If all other processes fail to resolve the issue, factory reset is the last options that restore the factory settings along with removing all the bugs that are stop the normal process in Galaxy S8. But take a backup first as this process will erase everything. 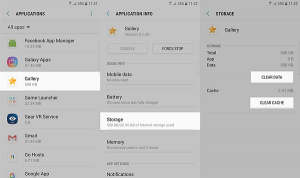 If all these procedures didn’t fix the problem, then you have to carry your phone to the shop and let the technician check it up for you but positive that one of these may actually get rid of the “Gallery has stopped” error for Samsung galaxy S8 & S8 Plus.